Residents of the Zelma Lacey House – a 66-unit assisted living community located on West School Street in Charlestown – gathered together on Monday to celebrate Opening Day at Fenway Park and cheer on the Boston Red Sox from across town. Zelma Lacey House is managed by Braintree-based, full-service real estate firm, Peabody Properties, Inc. Photos from the event. (Left): Pictured above is Rose Walsh cheering on the Red Sox. 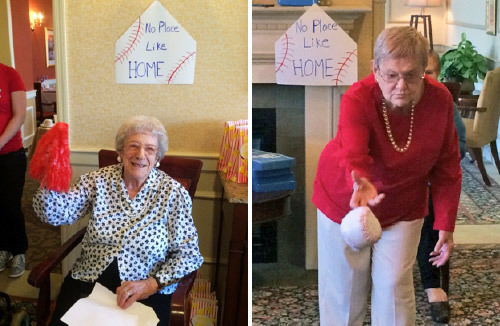 (Right): Pictured above is Freda Getherall practicing how to throw a pitch.